Police commissioner Mark Rowley said work was 'well advanced' to prosecute Aqsa Mahmood. A Scot who travelled to Syria to join ISIS will be prosecuted if she ever comes home to Glasgow. Police commissioner Mark Rowley told the Home Affairs Select Committee work was "well advanced" to prosecute 20-year-old Aqsa Mahmood. Ms Mahmood left her Glasgow home and travelled to Syria in November 2013 where she is thought to have married an Islamic State fighter. 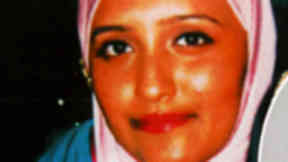 She is suspected to be working to recruit other women into the radical Islamist group. Reports claimed she was in contact through social media with the three London schoolgirls who went missing last month and are believed to have travelled to Syria to join ISIS. Shamima Begum, 15, Kadiza Sultana, 16, and 15-year-old Amira Abase flew from Gatwick to Istanbul on February 17 and are feared to have continued to Syria to become so-called "jihadi brides" with IS militants. Responding to a question on what preparation had been made by the police should Ms Mahmood return to the country, Mr Rowley said: "We're making good progress on a Briton who is overseas in Syria and influencing people over Facebook and the internet. "We have a lot of people who are outside the country in Syria, using social media to try and radicalise others. "We're trying to get to a point where we are charge ready,so if they set foot in Europe or any western country we can bring them here and sort them out." 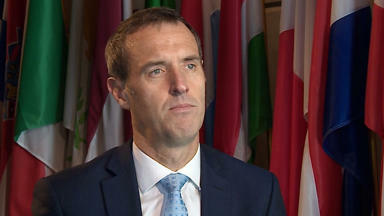 Ms Mahmood's family issued a statement through their lawyer Aamer Anwar describing Mr Rowley's comments as "disturbing". "The family of Aqsa Mahmood are full of horror and anger that their daughter may have had a role to play in the recruitment of these young girls to ISIS. ", the statement reads. "It is extremely disturbing that Assistant Commissioner, Mark Rowley should use the Select Committee to publicly announce their work as being ‘well advanced’ in terms of prosecuting Aqsa Mahmood. "One would hope that the Crown Prosecution would have concerns on the right to a fair trial and anything being done to jeopardise due process, unless the Met believes that no longer applies in the UK. "But far more serious is the questions it raises in relation to the case of the Bethnal Green girls. "Aqsa’s family have repeatedly said their daughter was being monitored by the security services and police for over 15 months. If she was responsible for the recruitment and radicalisation of young girls then why did the security services not share that information with the families before it was too late. "As for Aqsa’s family they were advised by my office some time ago of the likelihood of prosecution if she were she to return to this country, they are deeply ashamed of their daughter and any role she may have played in the recruitment of these young girls, but she is still their daughter and they would much prefer her back in Scotland alive than for her to die in Syria."